The fifth largest of the Canary Islands, narrowly beating La Gomera and El Hierro, La Palma is the most north westerly island in the archipelago, found off the north western coast of Tenerife. Unlike islands such as Lanzarote and Gran Canaria, La Palma isn’t a bustling tourist hotspot, making it the ideal location to engage with nature and discover what the Canary Islands were originally like before mass tourism took over. Often referred to as an ‘undiscovered gem’, La Palma is a peaceful haven made up of white-washed fishing villages, tasteful quiet resorts and dramatic mountain scenery which you’ll never tire of. Add all that to the fact that its skies are some of the best in the world for star-gazing and you’ve found yourself a true nature lover’s paradise – all less than a five hour flight away from the UK. Santa Cruz de la Palma is the capital of the island, found on the eastern coast. The port of call on many European cruise itineraries, this city is full of beautiful historical buildings which line cobblestone streets. Here you can wander around for hours on end, soaking up the Canarian atmosphere, indulging in some retail therapy at the market and reenergising by enjoying a café con leche in a local café. There is a handful of historical points of interest found in Santa Cruz de la Palma, too, such as a castle and a replica of the Santa Maria ship. Puerto Naos is one of the two tourist resorts on the west coast of La Palma. Here you’ll find a few winding streets where most of the accommodation is located, a wide range of bars and restaurants, souvenir shops and supermarkets, as well as a gorgeous black sand beach. Los Cancajos is the other tourist resort on the island and is the most developed village in La Palma, despite holding onto its off-the-beaten-track feel. Like many of the resorts in the Canary Islands, Los Cancajos’ most appealing factor is its dark volcanic beaches which are ideal for enjoying lazy sun-kissed days and refreshing dips in the sea. The rest of the resort is made up of modern hotels, shops, bars, restaurants, walking trails and a great choice of excursions. Fuencaliente in the south of the island is a popular place for travellers to visit, thanks to the numerous natural attractions which call the area home. Made up of numerous character-full hamlets, this region is where you’ll find the San Antionio en Tenaguia volcanoes, several vineyards, numerous saltpans and two lighthouses, one of which contains a museum. The raised parts of Funcaliente are known for their volcanic landscape which is covered in beautiful pine forests, whilst the coastal regions feature stunning black sand beaches which provide the ideal environment for scuba diving. 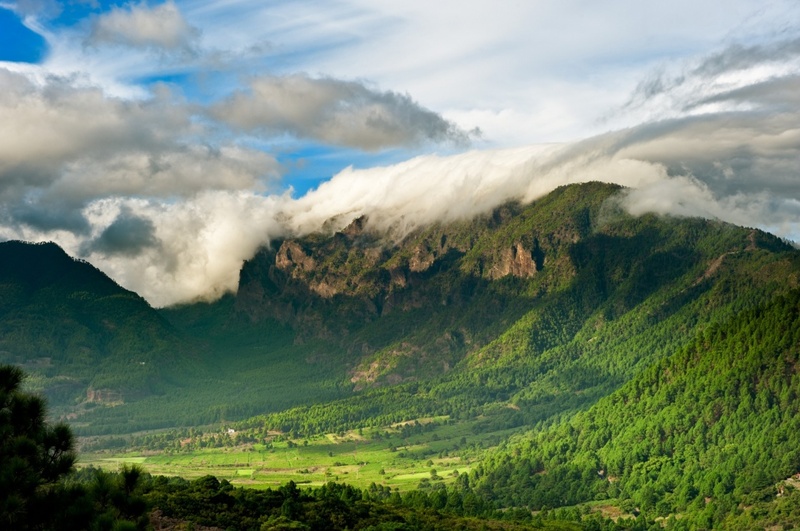 Perfect for travellers who revel in the great outdoors and want to connect with the traditional aspects of the Canary Islands, La Palma offers everything you need for a truly relaxed holiday away from the hustle and bustle of everyday life.